At Goedecke Flooring and Design, you can find spectacular design ideas, products, and services to customize your home’s interior. 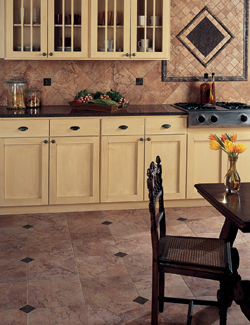 Over the past 50 years, we’ve become a household name for a wide range of home remodeling products in Bedford, NH. With high-quality decorating products and accessories, interior design in Bedford from Goedecke Flooring and Design makes it easier for you to get the look you love without breaking your budget. Our interior design products in Bedford can be customized to reflect your every taste, personality, and lifestyle. Through our partnership with Flooring America, we can offer a seemingly endless selection of flooring choices, including hardwood floors, laminate flooring, tile flooring, and carpet at guaranteed low prices. We’re dedicated to giving every customer full access to the latest products in the flooring industry while offering impeccable service! Visit our showroom to explore premium window treatments in Bedford from Hunter Douglas. As the industry's leading manufacturer of window coverings, Hunter Douglas window shades in Bedford are crafted from genuine hardwoods, aluminum, and vinyl. We are proud to carry an impressive selection of blinds, shutters, and shades that provide maximum view-through when opened and unmatched privacy when closed. Goedecke Flooring and Design provides the highest quality interior design products, flooring, and window treatments in Bedford at the lowest prices around. Our dedicated staff and expert interior designers are ready to help you with your next home renovation project. Whether you need a new paint color for your living room or want us to lend our expertise to help you create a new custom tile bathroom and shower, we’ll help you to design a home or office space you’ll love to show off! Our newly renovated showroom helps you to visualize how any of our home remodeling products in Bedford will look like in your home. You’ll be able to see stunning hardwood floors, tile flooring, and other flooring ideas installed right on our showroom floor! Window treatments and draperies are also on display, making it easy for you to “try before you buy!” To see our vast selection of home remodeling products in Bedford, NH, visit Goedecke Flooring and Design today! Goedecke Flooring and Design helps you create stunning interior design in Bedford, NH. We proudly serve the communities of Bedford, Manchester, Hooksett, Concord, Goffstown, Amherst, Nashua, Windham, Londonderry and Raymond, New Hampshire. We proudly serve the communities of Bedford, Manchester, Hooksett, Concord, Hollis, Merrimack, Goffstown, Amherst, Nashua, Windham, and Londonderry, New Hampshire.